Endometritis is a common inflammatory disease which endangers human and animal reproductive health. MicroRNA (miRNA) let-7c plays an important role in the inflammatory process; however, the regulatory underlying mechanism of let-7c in endometritis is unclear. In this study, we confirmed that let-7c was significantly reduced in LPS-induced mouse endometritis model, and overexpression of let-7c was able to effectively reduce uterine tissue damage caused by lipopolysaccharide (LPS), and then, a LPS-induced bovine endometrial epithelial cell (BEND) line was used to mimic the inflammatory model in vitro. 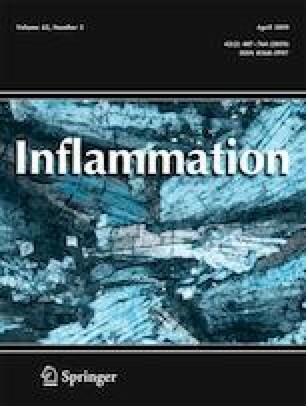 Our data showed that overexpression of let-7c significantly reduced the expression of pro-inflammatory cytokines in BEND cells induced by LPS. Meanwhile, immunofluorescence and western blotting results showed that let-7c significantly inhibited LPS-induced phosphorylation of NF-κB, thereby inhibiting downstream pro-inflammatory cytokine expression. Taken together, our results suggested that let-7c ameliorates LPS-induced endometritis by attenuating the expression of pro-inflammatory cytokines via inhibition of the activation of NF-κB. The online version of this article ( https://doi.org/10.1007/s10753-018-0922-4) contains supplementary material, which is available to authorized users. Thank all members in the Laboratory of Veterinary Clinical Diagnosis with all the helpful suggestions. We especially thank Dr. Aftab Shaukat for English language editing. This work was supported by the National Natural Science Foundation of China (Grant No. 31772816).